Hi everyone! Today I want to introduce you to a brand new manufacturer: Little.Miss.Evie. 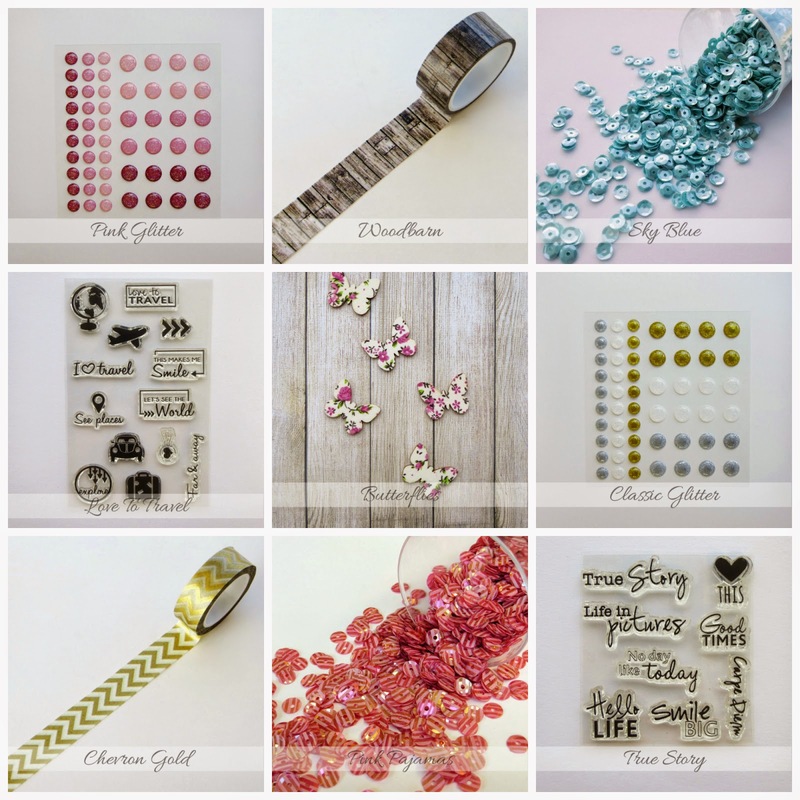 They have the most gorgeous embellishments that fit any project: enamel dots, sequins, washi tapes, wood veneers and stamp sets. Below I will show you some of my faves. I wanted to make a layout with mainly the Little.Miss.Evie. products, which means hardly any papers. 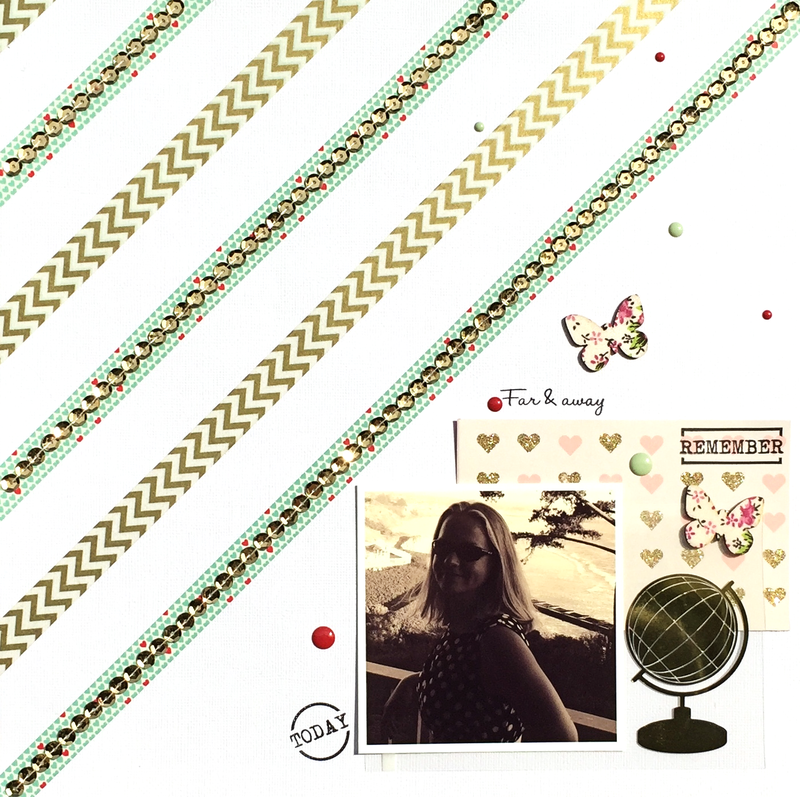 I started with creating a diagonal design with the Chevron Gold and Heartbeat washi tapes. Then I placed gold sequins over the Heartbeat tapes and handstitched them to the background. 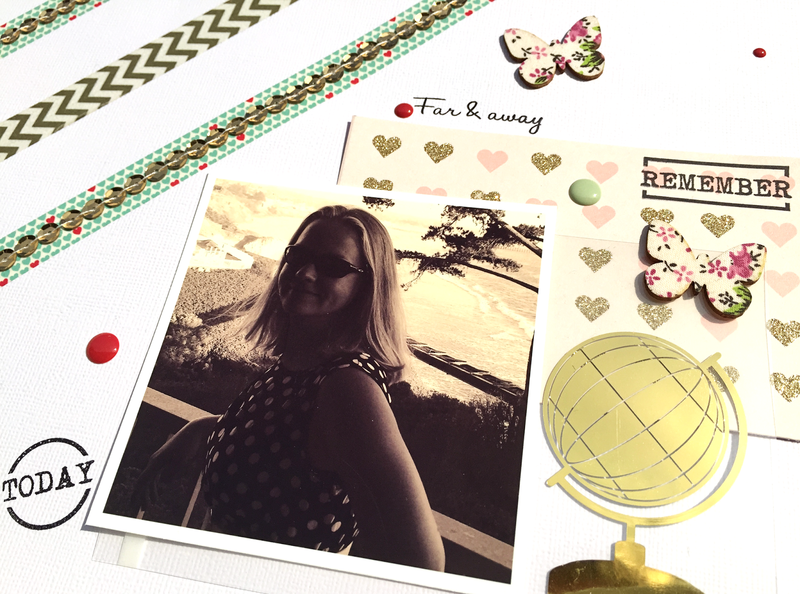 I used only one piece of paper and a photo overlay from the American Crafts Shimelle collection to place behind the photo. 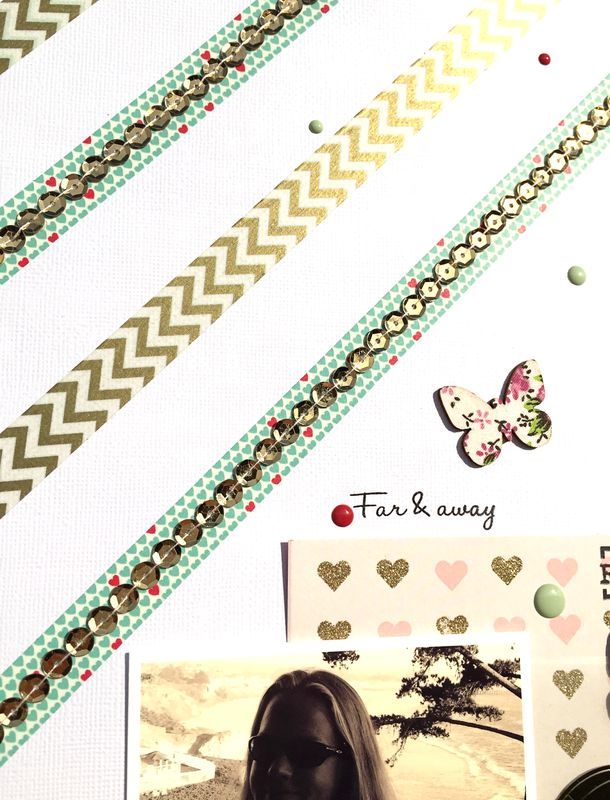 To embellish the rest of the page, I added two wood veneer butterflies, some enamel dots and stamps from the Love to Travel and Hello Today stamp sets. Here is a selection of my Little.Miss.Evie. faves, but I seriously could pick anything from their collection! Currently the products are only available at Scrapdelight and they ship world wide! You can find Little.Miss.Evie. overhere on Instagram and Facebook. Be sure to follow them to see what more is coming up! Gorgeous! LOVING the strips and the globe!!!!! WOW, love those diagonal stripes! So cool! Amazing layout Danielle!! I love the look of the diagonal stripes!